Self-control is about harnessing your energy toward a particular end goal—it is not the same as obedience or following rules. ​​Self-control is controlling one's own responses so they align with short- and long-term goals. 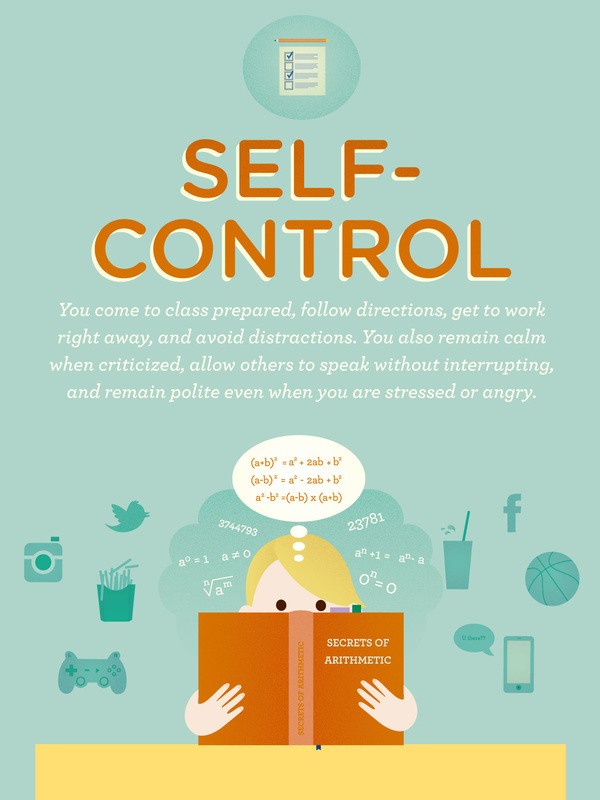 Two important types of self-control for students are work self-control and interpersonal self-control. Interpersonal self-control allows you to maintain your temper, hold back from interrupting, and respond to others in ways that are socially appropriate. Someone displaying self-control can delay a short-term temptation to play games on her phone if it interferes with her long-term aspiration to do her homework each night. Someone with high self-control who aims to run a marathon will not press the alarm clock’s snooze button on the morning he scheduled a training run. In this way, self-control is linked to grit, growth mindset, and optimism.